J2 Global announced on Monday that it acquired Ziff Davis and most of its web properties for $167 million. 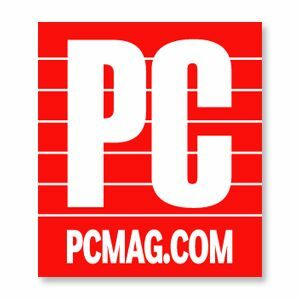 The acquisition includes PCMag.com, ComputerShopper, ExtremeTech, Geek.com and Toolbox.com, the company said in a release today. "We have years of experience and significant interest in the digital media and online marketing space, both as a large scale consumer of advertising (~$50M per year) and as a seller of advertising on our ad supported properties (e.g. eFax Free) and a provider of marketing and advertising services through Campaigner," said Hemi Zucker, j2's chief executive officer. "This acquisition brings scale to this effort with a top leadership team deeply committed to building the business through organic growth, which we expect to continue. This is our 40th acquisition and we plan to grow the business in the same way we have our others – through a combination of internal growth and acquisitions." J2 Global typically provides cloud-based solutions for the enterprise. Congratulations to our friends on the editorial staff at those properties. j2 Global Acquires Ziff Davis, Inc.
LOS ANGELES–(BUSINESS WIRE)–j2 Global, Inc. (NasdaqGS: JCOM), the provider of business cloud services, today announced that it has acquired Ziff Davis, Inc., a leading media company in the technology market. The acquisition provides j2 a series of world-class web properties, including PCMag.com, ComputerShopper, ExtremeTech, Toolbox.com and Geek.com. The purchase price was approximately $167 million, net of certain post-closing adjustments, and was funded out of j2's cash on hand. The transaction is anticipated to be immediately accretive and to contribute approximately $60 million to 2013 revenues. After giving effect to this transaction, j2 has over $300 million in cash and investments. "We have years of experience and significant interest in the digital media and online marketing space, both as a large scale consumer of advertising (~$50M per year) and as a seller of advertising on our ad supported properties (e.g. eFax Free) and a provider of marketing and advertising services through Campaigner®," said Hemi Zucker, j2's chief executive officer. "This acquisition brings scale to this effort with a top leadership team deeply committed to building the business through organic growth, which we expect to continue. This is our 40thacquisition and we plan to grow the business in the same way we have our others – through a combination of internal growth and acquisitions." As a result of this transaction, j2 anticipates that its revenues for 2012 will exceed the top end of its previous estimate of between $345 million and $365 million. In addition, j2 reaffirms that its 2012 non-GAAP earnings per diluted share will exceed that of 2011.